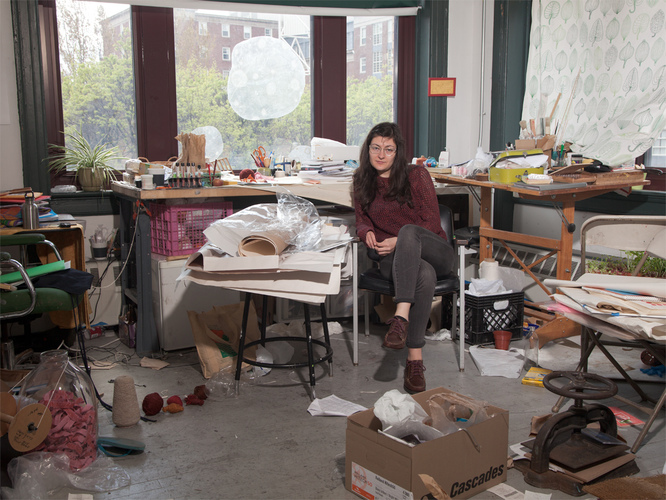 Amanda Thackray lives and works in Newark, NJ and holds an MFA from the Rhode Island School of Design. She teaches at SUNY Purchase and Rutgers University. While she is trained in traditional and contemporary printmaking methods, her work ranges from installation and sculpture, to cast glass multiples, artists’ books, drawings and mixed media works on paper.